The best part of the wedding, next to saying ‘I do’ of course, is the music! No modern bride would want to walk down the aisle to silence, right? And a wedding reception without some kind of music to keep the energy up would fall flat. But it could mean hours and hours of listening to snippets of songs in order to find just the right song to walk down the aisle to. So if you’ve found the perfect wedding venue, the perfect dress, and if you’ve been putting off making a playlist, it’s time! To help you out, here are a few of the most popular wedding songs. This beautiful long song has lyrics that will draw tears of every guest’s eyes. 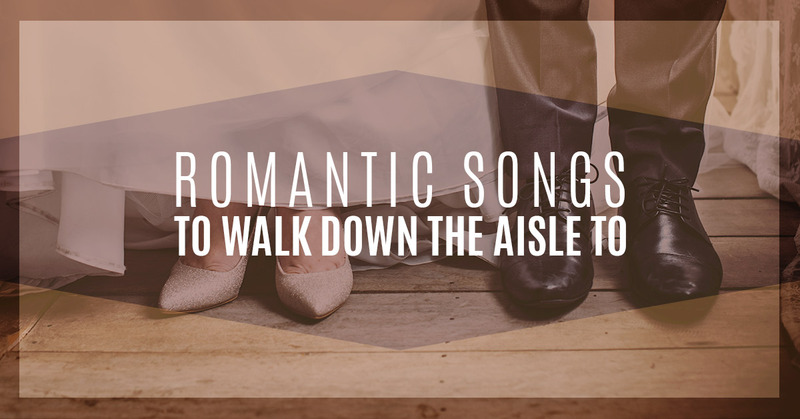 For a truly romantic and heartfelt song, there may not be a better choice to walk down the aisle to. A classic, but nonetheless beautiful and romantic song, the gentle sounds of the violin are like clouds parting, giving you the best entrance and walk down the aisle. Without lyrics, all of the focus will be on the bride and groom’s locked eyes as they get closer and closer. This song is a perfect match for any wedding venue. Simple lyrics, a delicate sound, a beautiful voice, but a powerful song. Take a moment to think about what a sea of love would mean to your soon to be husband or wife and you’ll see this is an easy choice of song to walk down the aisle to. These five songs will have all of your guests gushing as they watch you walk down the aisle. When choosing a song, there are many out there that are beautiful and classic songs, but if there are lyrics, make sure to read them carefully and pick one that has meaning to you and your relationship. 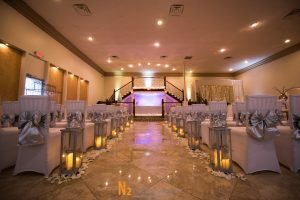 At Alegria Gardens, our wedding venue features an elegant hall that any song will sound amazing in. For a perfect walk down the aisle, visit us today for a tour. Check back soon for popular songs for the first dance and songs to make your entrance as a newly married couple.